GoodField provides strategic and capital support for startups, entrepreneurs, and start-up leaders pursuing a better life throughout the U.S. High-yield and distressed commercial real estate opportunities offer GoodField quick closings and non-finance contingencies throughout the U.S. Through its Ministry Investments group, GoodField invests in new high-impact entrepreneurial ministries throughout the world that want to increase their societal impact. GoodField is about finding good fields. That means entrepreneurs with good concepts. Whether it’s a startup, real estate, or ministry investment, we sow seeds of capital and strategic support. Once the seeds are planted, they must be cultivated, watered, weeded, and nurtured (strategic support). Great care produces a great yield (return on investment). This process succeeds through partnerships of entrepreneurial leadership and GoodField working together for high impact. Whether it’s a startup, a real estate investment or a ministry concept, GoodField is opportunistic in looking at the potential financial and societal impact. 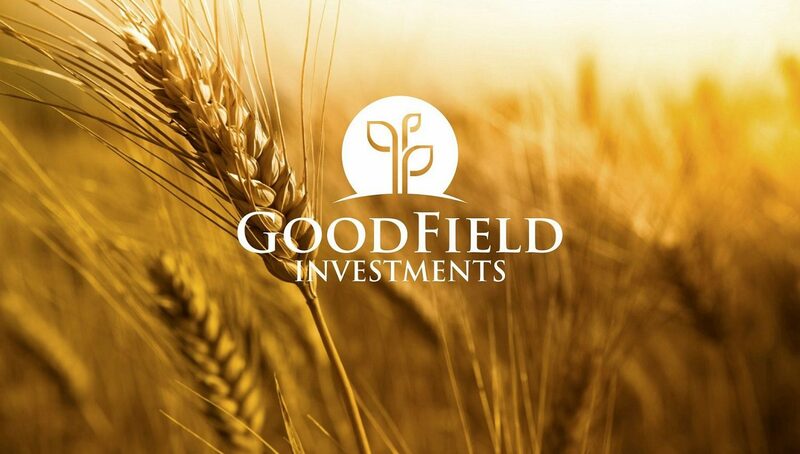 GoodField works with people that are competent and trustworthy with an ability to be good stewards of GoodField’s invested resources. Even if the opportunity and the people are the right strategic partnership, GoodField looks for a fit with our values, plans, goals, timing, and resources. Create exceptional strategic entrepreneurial investments to produce great financial and societal yields by utilizing time, treasure, and talent. GoodField endeavors to be the leading niche entrepreneurial startup, ministry, and real estate investment company leaving a strong earthly and eternal legacy. While focusing on the short-term and long-term financial, societal, and eternal results for all stakeholders, GoodField’s core value is to always lead with Christian holistic approach. GOODFIELD is a nimble, out-of-the box, results-driven company, led by Dr. Joe Johnson. The organization’s exclusive purpose is finding and making good, strategic, and profitable investments without the conflicting goals and values inherent with different stakeholders such as partners, investors and funds. Unlike larger or smaller bureaucratic investment organizations with multiple decision makers, GoodField is nimble with its processes and decision making. While other organizations have restricting guidelines to satisfy its multiple stakeholders, GoodField has the freedom to invest in new out-of-the box entrepreneurial models. As other organizations juggle multiple conflicting objectives, GoodField is solely focused on the end results from a financial, societal and eternal perspective. As founder of GoodField, Dr. Joe Johnson is an entrepreneur, investor, and startup expert. Joe has a PhD in entrepreneurial leadership and an MBA. He is the author of the upcoming book on the science of why most entrepreneurs fail and some succeed.